Hello, i tried to find an answer myself, but couldnt do it. Is there any chance of enabling autorepair? There are many minimal addons that enable autorepair. They won't make much impact on your UI or your resources. 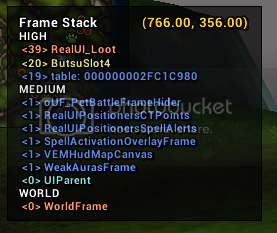 Is it possible to enable oUF for arena frames in RealUI? It looks like every frame in the game is successfully reskinned with either oUF or Aurora, except for the arena frames for some reason (sadly, I don't have a screenshot right now for example, but can produce one at home later if needed, lmk). The arena frames are the default blizz ones. I'd love to replace those with oUF and I have a strong programming background, but I'm not proficient with oUF at all. I see that the boss frames are indeed oUF, and they work great, showing me important debuffs on all bosses at a single glance. Something similar would be fine for arena frames. Of course, it would be great if there was also an option in the RealUI settings to disable the oUF arena frames, in case some players would prefer to use Gladiator or another arena frame addon. I would like to use oUF that matches RealUI. Last edited by geekyadam : 08-13-14 at 09:59 AM. For FPS; RealUI uses a number of large independent addons for features (Raid Frames, Buff Frames, Damage Meters, etc) which can chew up more CPU cycles then if these were stripped down and built into the UI. Do you think you'll ever add in built-in damage meters and such? Personally I prefer using addons for the bigger features, so that they can be independently configured/tweaked/replaced/removed as desired. For instance, I'm not a fan of Cargbags, so I uninstalled it and replaced it with Adibags (far superior imo). And I use two Skada windows in a custom layout that are tweaked to my liking. I request that you don't "hardcode" the bigger features into RealUI just to save some FPS for lower end machines. Just my $.02. For the loot window; Next time it happens, type /fstack into the chat window then mouse over a non-responding portion of the loot window and hit Print Screen. Then upload that screenshot here. This may help troubleshoot this problem. Here's what came up. It's normally the last two or three items at the bottom of the loot window. When they don't want me to interact with them, their bar turns a lighter grey like it would if you were to hover over the item. I have to close and open the window a few times and each time it lets me finally pick something up. Otherwise, I have to autoloot. For FPS; RealUI uses a number of large independent addons for features (Raid Frames, Buff Frames, Damage Meters, etc) which can chew up more CPU cycles then if these were stripped down and built into the UI. It's possible one addon in particular is impacting your FPS, or it could be a combination of them. Another possibility to try is to set RealUI's 'Power Mode' to Economy; Click the squarey icon on the bottom left of the screen and you'll find that option in there. Thanks! I forgot about that little boxy icon, lol. I have another problem, but it's related to some kind of conflict with Nemo (an addon found at Curse) - I think the combination of the icon skinning (like what's suggested for your UI) and Aurora. But my Nemo rotation icon flickers like crazy during the GCD swirl and the icon border is resized within the icon itself. I don't know if that's something you know about, and how I might fix it. Like I said, I figure it's just not playing nice with Aurora or something. I've never had it do this with any other UI. I'm not blaming your lovely UI. I just thing Nemo is being stingy. That's where I have Nemo positioned in relation to the target frame and MSBT. The fire trap icon is Weak Auras, I need to get that moved. Ah, I see it. I've attached a new Loot.lua, drop it into Interface\AddOns\nibRealUI\Modules and overwrite. See if that fixes it. That's odd, I may need to look at this addon and see what it's doing. Try disabling Masque and/or Aurora and see if that helps. I don't really PvP much so that part of the UI has been rather neglected. 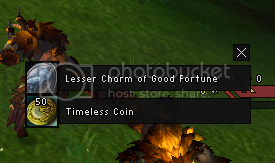 Since you brought it up, my thought was to basicly model them after the boss frames, using the icon for the trinket with class colored text. Would this be sufficient? Thank you so much! Popped it in. Yeah I have no idea what's happening with Nemo. I'm a little stubborn about disabling Aurora, it makes the UI so pretty, lol. I will let you know if I notice anything! Yeah that'd work great. Ideally have whatever options the boss frames have and in arenas they turn into arena frames. That could work out fine. Also don't forget to hide the Blizz arena frames. Thanks. Guys, is it possible to enable class colored health bars by default? Pretty sure under the Colors menu in the RealUI config at top of screen, if you open the extra settings, there is an option for class-colored bars. Not in front of my gaming machine at home, so can't be exact, sorry. If you still can't find it, let me know, I'll check when I get home and report back if no one else does by then. Well it only enables backhround of health. Full health = black. Zero health = class colored. Can it be reversed? I'm pretty sure someone asked this somewhat recently (within the last month?) and I believe the answer was no. You could always try tweaking the RealUI lua code yourself if you feel up to it. Just remember that if you're not an expert, you have a strong chance of accidentally breaking something in the UI. So be sure to back up everything first, and don't be surprised if you have a hard time finding help on the fix. This thread has gotten very long and impossible to follow at this point, so I'm going to go ahead and lock it. Please create a new thread in our new sub-forum for any additional discussion.